"True stuff doesn't have to be all solemn and serious and sedate," wrote Roz in her post last week about humor in nonfiction picture books. If ever there was a biographical subject who was NOT solemn and sedate, it was Julia Child, who would have turned 100 this year. Serious is another matter, however. On TV, Julia had a natural, relaxed attitude that belied her seriousness about French cooking. Of crucial importance were fresh, high-quality ingredients, prepared with classic techniques that had been developed over centuries. Fortunately, Julia's serious approach was always tempered by an earthy sense of humor. At heart an educator, she knew that learning goes down easiest when you're having fun. Above all, she would say, are the pleasures of sharing a delicious meal with family and friends. For Julia, relationships came first. In my new picture book, Minette's Feast: The Delicious Story of Julia Child and Her Cat (Abrams), all these facets of America's most beloved chef and cookbook author are on the table. The challenge for me as an author was to find the right balance of seriousness and playfulness, and to do it in a way that kids would enjoy. 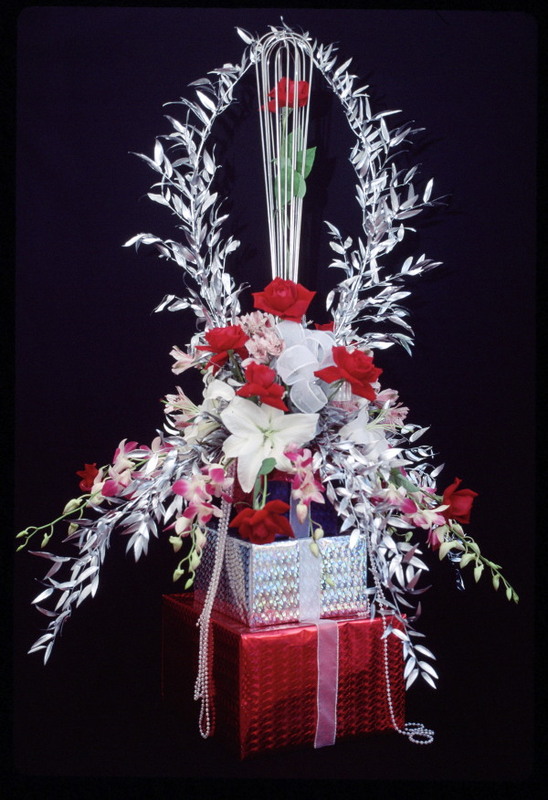 A Julia fan since childhood, I'd wanted to write a book about her ever since we met when I designed the flowers for her 80th birthday party, at the Rainbow Room in New York. But I struggled to find a way to make the subject child-friendly. Would six-year-olds really be interested in fancy French food? 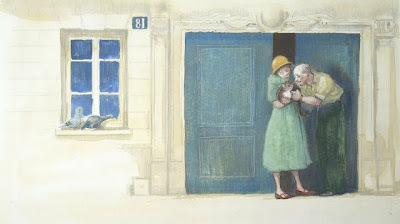 Then I learned that Julia got her first cat, Minette, when she and her husband Paul lived in Paris in the late 1940's. 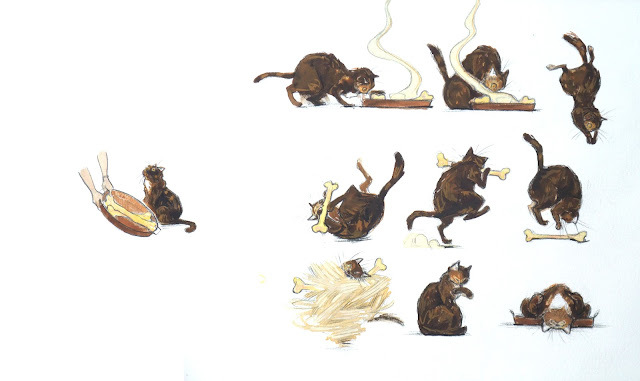 This fortunate French feline ate meals lovingly prepared by the future Queen of Cuisine. In return, Minette brought Julia little tokens of affection—in the form of fresh-caught mice! This contrast in taste provides tension in the plot of Minette's Feast. As Julia's studies at the Cordon Bleu progressed, she whipped up ever-more enticing meals for Minette. The question is, could Julia's concoctions ever compete with live mouse? Julia Child famously loved to eat, and her cat did, too. But they had different ideas about what kind of food was most appealing. Since Julia wrote about Minette in her letters and memoir, I was able to find plenty of primary source material and luscious quotes for my picture book. Then I played with language as Julia played with ingredients, mixing and experimenting until I had just the right recipe of words. And Amy Bates' scrumptious illustrations bring Julia, Paul and Minette to vibrant life. "And so Julia and Paul adopted Minette, a mischievous, energetic poussiequette with a lovely, speckled coat. Or, shall we say, Minette adopted Julia and Paul." Illustration © Amy Bates 2012. "She frisked and flounced, darted and batted. She tiptoed and hopped, danced and pranced. and ran, gurgled and purred. And then she licked herself all over and took a nice long nap." Illustration © Amy Bates 2012. After the kitchen shortcuts of the 1950's (casserole with canned cream of mushroom soup, anyone? 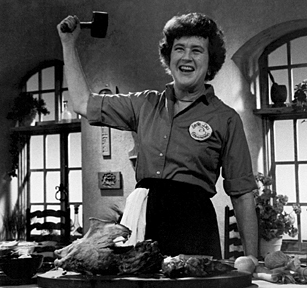 ), Julia Child was a breath of fresh air. As we celebrate the 100th anniversary of her birth in this era of fast food, it's important to share with kids the serious things Julia taught us about food, as well as the humor she brought to all her endeavors. 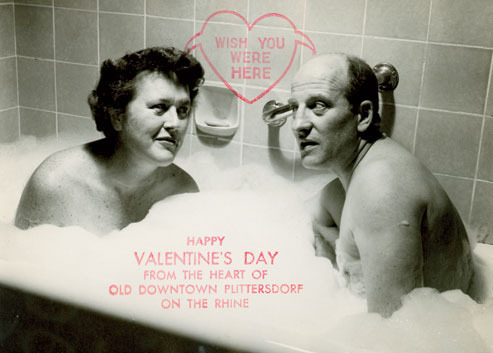 Julia and Paul Child in the tub. Teachers can use Minette's Feast to introduce students to Julia Child, for units on picture book biography and nonfiction writing, and also to spark classroom discussion and activities around food and cooking. Riding on piers and boardwalks can be pretty hectic with the number of people walking and riding bikes.